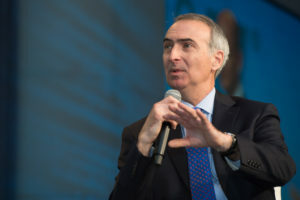 Intelsat CEO Stephen Spengler defended Intelsat’s joint proposal with Intel for ceeding certain satellite spectrum to the wireless industry for 5G services, telling investors Oct. 26 that the controversial C-band clearing proposition is not intended as a solution for clearing congested airwaves outside the U.S.
Two separate propulsion problems will shorten the expected lifespan of Intelsat’s second high-throughput satellite by an estimated 3.5 years, the company told SpaceNews Aug. 31. 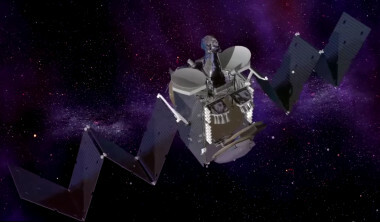 Satellite fleet operator Intelsat on Sept. 21 said the failure of a thruster on its recently launched IS-33e satellite could reduce the satellite’s in-orbit life, but that the effect would be minimal. 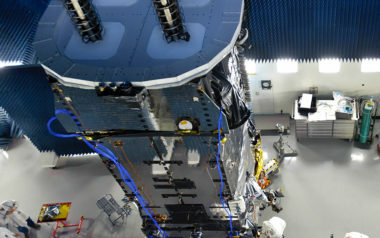 ESA and Intelsat agreed to co-invest in a European ground technology provider to build hardware for Intelsat’s upcoming high-throughput Epic satellites.